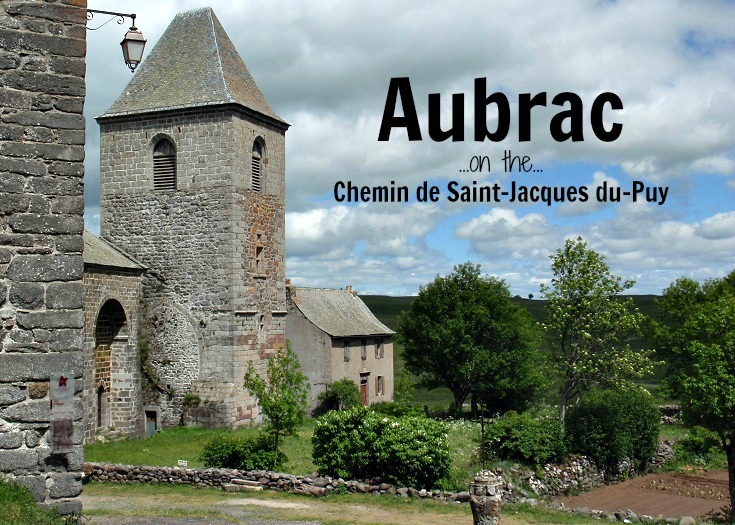 The view of the church tower surrounded by ancient stone houses in the tiny village of Aubrac (located in the Aveyron region of France) never fails to set my heart aflutter! It’s the same view that has greeted pilgrims and long-distance walkers for the last 700 years. 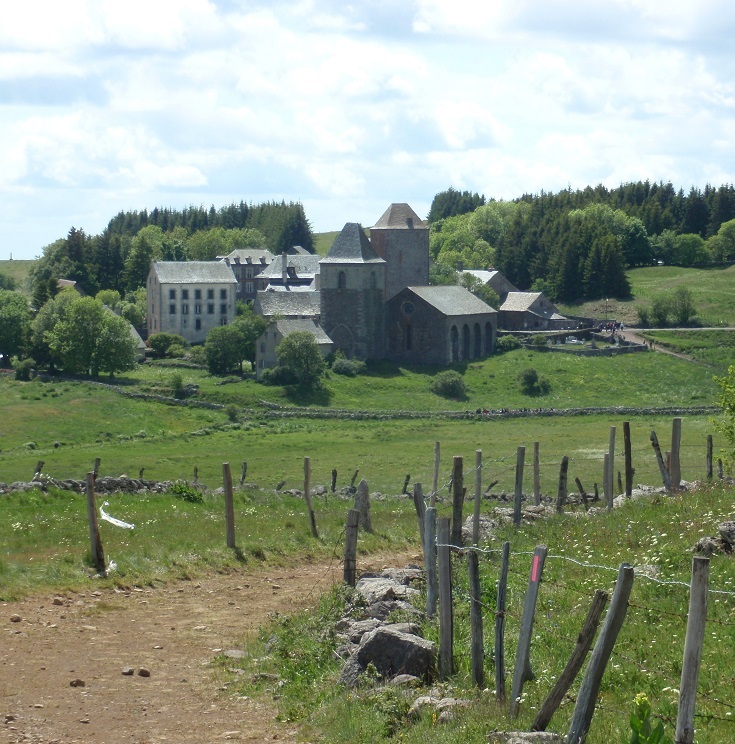 But there is more to Aubrac than historic charm – you’ll also find good food and a choice of places to stop for the night. In 1120, the pilgrim Adalard passed through this region on his way from Le-Puy-en-Velay to Santiago. He was attacked by bandits but survived unharmed and vowed to build a monastery – La Dômerie – where future pilgrims could find shelter. Between 1120 and 1122 Adalard built the monastery, the church and a hospital where sick pilgrims could be treated. During its busiest times, the monastery dispensed 5,000 bread rolls and sheltered 500 pilgrims each day! The monastery was destroyed during the French Revolution but the church, Notre-Dame des Pauvres, has survived. The interior features contemporary murals, by local artist Hervé Vernhes, depicting the life of Adalard. 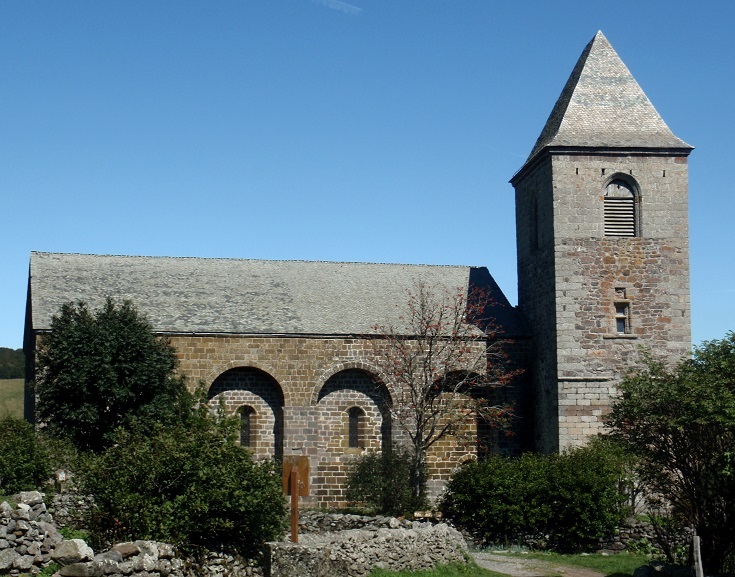 Next to the church is la Tour des Anglais, built as a fortification during the Hundred Years War with the English in the fourteenth century. It is now a gîte and still shelters pilgrims each night (no, there is no elevator). It is named, not after the English, but after the vagabonds who roamed the country after the Hundred Years War and were referred to, derogatorily, as les anglais. Aubrac is thought to be the birthplace of aligot, a traditional dish made of potatoes and cheese – the ultimate comfort food. It features in restaurants all through this region so be sure to try it while you are here. 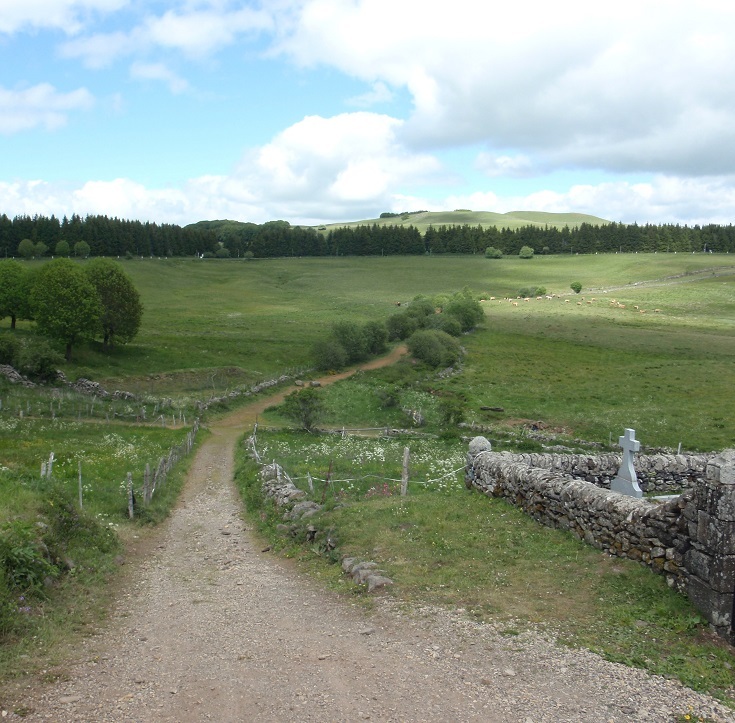 Aubrac is 12 kilometres (7.5 miles) from Montgros and if you are following my suggested itinerary, you’ll arrive in the village in time for lunch on the second day of this stage of your walk. You’ll find the Tourist Office in la Maison de l’Aubrac near the Botanic Garden. Opening hours are listed here. 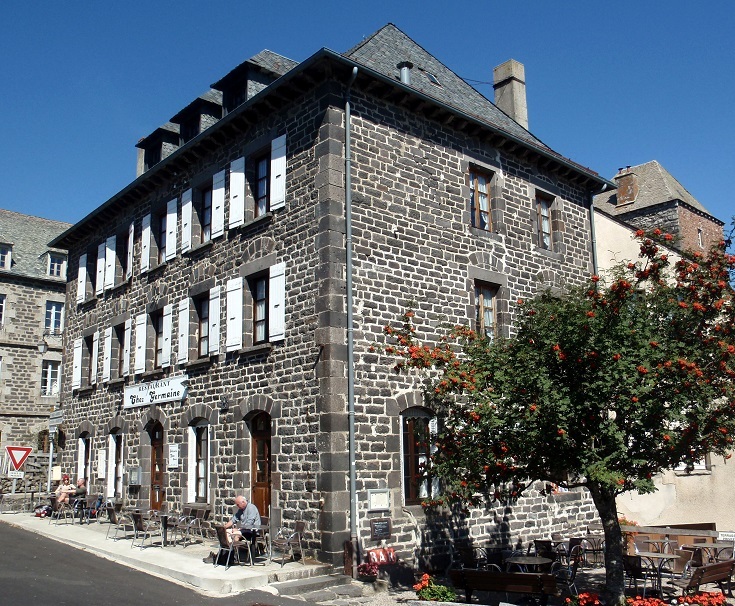 There are several cafés and restaurants in Aubrac, including the Tourist Office where you can pick up regional produce for a delicious picnic lunch. If you’ve worked up a hearty pilgrim’s appetite, I thoroughly recommend Chez Germaine where you’ll find the best onion soup and a mouth-watering selection of berry tarts included on the menu.